As many of my colleagues know, I’m quite committed to ensuring that our employees see where they fit into the ever-evolving growth and vision of Clearlink. By investing in our people through continuous development and mentoring programs, we look forward to fulfilling more employee ambitions, corporate goals, and customer needs in the future. It’s common for sales centres to overemphasize extrinsic motivating factors—incentives and other prizes—rather than build personal relationships and intrinsic engagement. 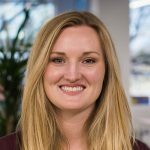 As VP of sales, I’ve focused on building engagement, trust, and relationships across the company. The positive influence of our developmental and mentoring programs is evident throughout the company. At the moment, however, their impact has been profound in three specific areas. One of the advantages of working at Clearlink is the relatively pliable nature of our job descriptions. This often allows us to sculpt a position to better fit a specific employee’s talents and aspirations. Recently, I met with an agent who had a distinct skill set. We worked together to figure out where she wanted to go in the company and designed a role for her that might never have otherwise existed. As suspected, it clicked for both her and Clearlink. Other times, we’ve had an employee who relishes certain aspects of a position more than others—while at the same time, another harbours the exact opposite likes and dislikes. Rather than merely forging ahead, we’ve tailored both positions to the capabilities of each person. The result: two more employees are doing what they do best, and Clearlink wins again. Providing ongoing training and support like this creates more engaged agents. We can attract better agents to begin with, retain better agents longer, and promote more agents to leadership roles to continue the cycle. A few years ago, few of our marketing staff had any reason to know or care about the frustration experienced by customers dialling into our call centre. Our sales agents answering those calls sure did, though. The Clearlink call centre is the lifeblood of the company’s strategy of acquiring customer feedback on the work we do, and we realized that we needed everyone in the company to understand how and why we do what we do and how our customers react to it. Eventually, we observed barriers between marketing and sales disappear, common ground emerge, and doors open for vibrant discussion, questions, and answers. We also noted that each division began to perform with a better understanding of its profit-and-loss statements and revenue goals. As a result of their participation in the call centre, our marketers gained a more comprehensive understanding of how all pieces in our business fit together. 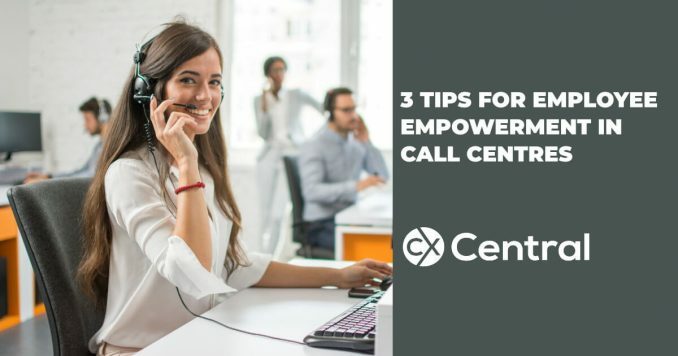 They better understood the urgency of our marketing, sales, and operations people driving customers to our call center—and how that translates into revenue. Viewing each employee as an integral part of your company’s vision and goals leads to better results for your customers as well. When individuals understand how they play a role in your goals—which, for Clearlink, is improving the customer experience—they are more likely to buy in to your processes and create better outcomes. As callers move through our customer cycle, for example, our sales agents employ our billions of data points and engagements with marketing intelligence to anticipate and solve customer needs quickly and efficiently. Our results unequivocally show that by integrating our marketing, sales, and data science, we provide the most welcoming and comprehensive experience for callers. With the wealth of data at our fingertips, we focus on training our agents to cultivate relationships with our customers. Creating healthy, enduring ties is about identifying, comprehending, understanding, and sympathizing with the caller’s experience over time. Moreover, we’re specialists in routing callers to the agent most qualified to handle the problem or need. We take note of the specific skills and experiences our agents have, so we can connect them with similar customers for better results. Our approach focuses on recognizing the time and effort customers have invested in personal research, inquiries, discussions with others, and notes taken on a particular problem—before they pick up the phone to call us. When they neglect those experiences, companies forfeit their precious opportunity to provide a potential customer with a few minutes of personal recognition and information that could encourage future calls while burnishing the company’s image as well. In other words, in the absence of a connected, intelligent, helpful response, the company’s call centre most likely left the customer with no choice but to go elsewhere in search of answers and solutions. Our approach to training our agents ensures our customers can find their answers from us. These are precisely the reasons Clearlink cherishes and invests time, effort, and funding in our development and mentoring systems. In light of their impact on our sales, marketing, and call centre departments—and subsequent effect on our bottom line—these programs have proven themselves to be indispensable.